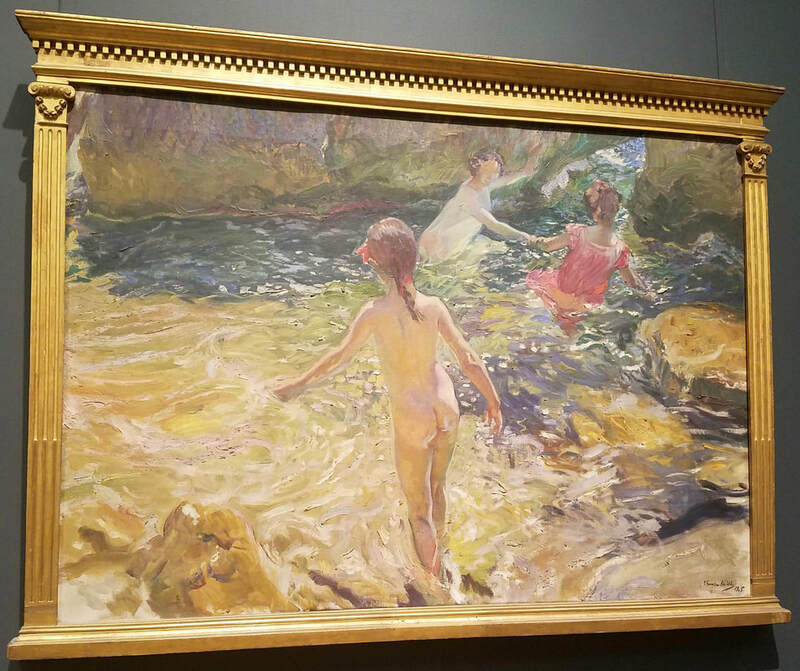 "The Bath, Jávea" a 1905 painting by Spanish artist Joaquín Sorolla y Bastida, depicting his two daughters and wife enjoying the water on a summer’s day on the Spanish coast, is on permanent display at the Metropolitan Museum of Art in Manhattan. This impressionistic oil on canvas gives you the impression that the image is seen at a glance and painted from memory. The result is a blurry distortion of a clear image. Yet, although the painting is not sharp and clear, one can definitely feel the presence of a beautiful summer’s day. The colors are bright and vibrant. The yellows, whites, greens and blues are all blended together creating the illusion of moving water. "He employed vigorous strokes of paint to capture the motion of the sun-dappled surf as it swirls over rocks and around the bathers,” according to a plaque next to the painting at the MET. Born to a poor family on February 27, 1863 in Valencia, Spain, Sorolla was orphaned at the age two. Yet during his youth, he demonstrated such artistic talent that at the age of 15 he was admitted to the Academy of San Carlos in Valencia. He then studied in Rome and Paris, eventually returning to Valencia. When Sorolla visited Madrid’s Museo del Prado at age 18, and saw paintings by Spanish Golden Age artist Diego Velázquez, he was so inspired that his view of art was changed. He became famous because of his impressionistic works. 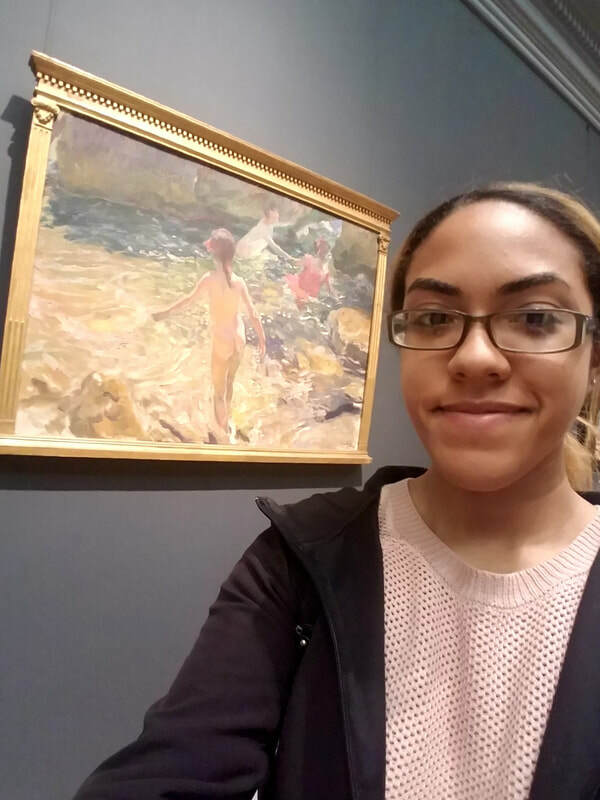 In 1911, Sorolla gained exposure in the United States when the New York’s Hispanic Society of America opened an exhibition of his murals, which proudly displayed the beauty of Spain. Those murals still occupy an entire gallery at that Upper West Side museum. His success lead him to be commissioned to paint a portrait of U.S. President William Howard Taft. Sorolla's paintings are exhibited in museums all across Europe. He even has his own Sorolla Museum, in the Madrid building that was once his house. He died at the age of 60, in 1923. His house was converted into a museum at his widow’s request, after she died. If you would like to please your senses with an abundance of masterful art, visit the Metropolitan Museum of Art, America's largest museum, at 1000 5th Avenue in Manhattan. The museum got its beginnings from a group of Americans who were inspired in Paris, France, and wanted to create an institution of fine arts for the American people. To learn more about the museum's history, visit its website at https://www.metmuseum.org/about-the-met/history.